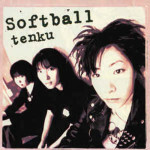 (Asian Man Records) Softball reminds me of a more punk version of Shoen Knife. It’s pretty close to other punk-pop bands out there, but the big difference is that it’s three cute girls instead of three cute guys. I think that’s what sets these songs apart from the sea of punk-pop out there in the scene. The songs are catchy, they rock out and they’re cute…what more can I say?